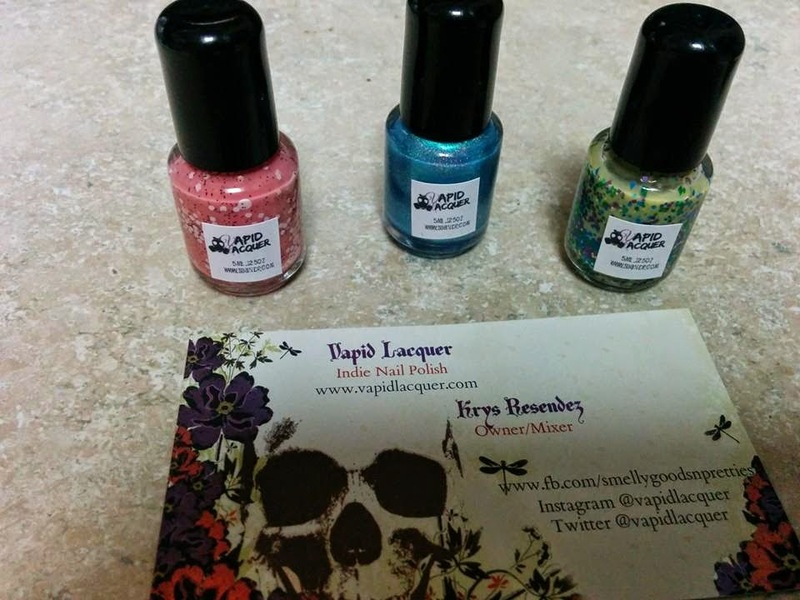 If you read my last post you would have seen that Krys from Vapid Lacquer/Smelly Goods & Pretties recently sent me three polishes from her Good Causes... Good Things line. (Sent for an honest review!) If purchased, a portion of the proceeds from these polishes will be given to charity. The specific charity that the proceeds of these three polishes will go to is the Just Keep Livin Foundation. (Left to right: Wooderson, Alright alright alright, and L-I-V-I-N). 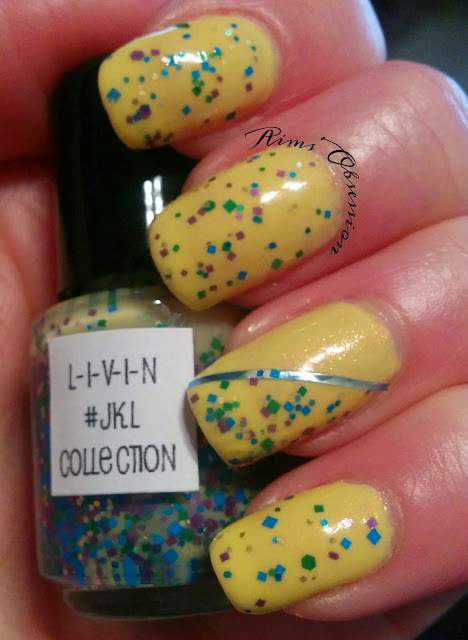 I have the next polish from the JKL collection to show you tonight! 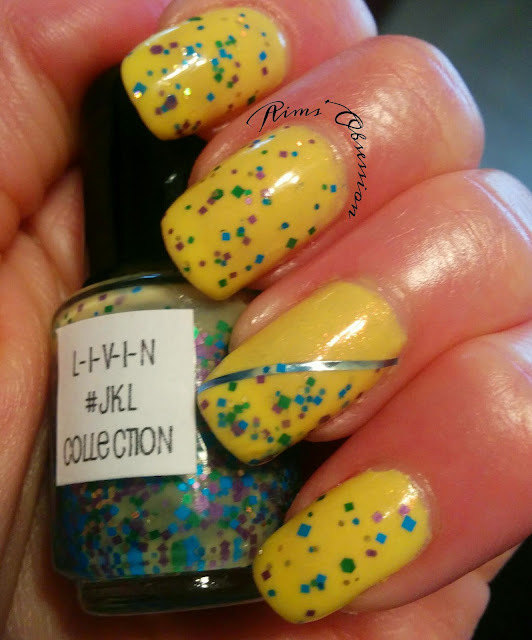 L-I-V-I-N is a creamy yellow based polish with fun different sized purple and green glitters and a pinch of gold hex glitters. 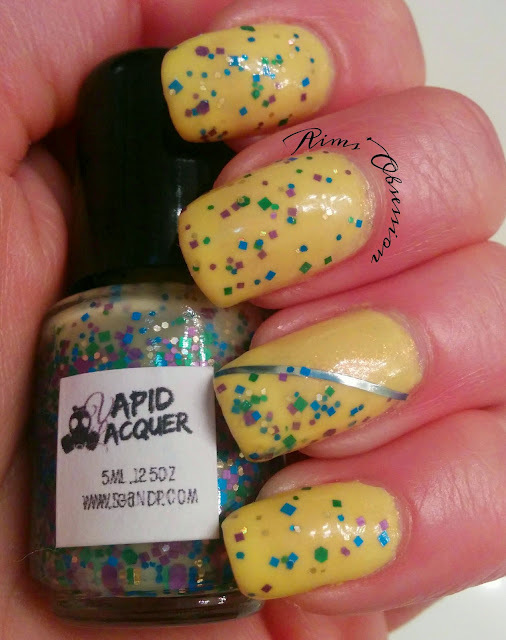 This polish (as well as all of Vapid Lacquer polishes) is a 5-Free and cruelty free polish. I had a lot of fun with this polish! L-I-V-I-N applies really well. I used only 1 coat of polish over my base yellow polish. The Vapid Lacquer site says 2-3 coats for an opaque look without undies. You will not have to worry about fishing for glitter with this polish! The brush pulls an abundance out with each stroke! Very impressive for a glitter polish! As always, I applied Vapid Lacquer Quick Dry Top Coat on top! If you have not purchased this wonderful topcoat you should do it now!! L-I-V-I-N is available for purchase on the Vapid Lacquer website for only $10 for a full size (15mL) or $5 for a mini (5mL). If you end up wanting all three (which I completely recommend because they are so fun!) then the price is RIGHT at only $27 for the three full sizes or $14 for the three mini sizes.